Love “See You Again” so much and want set it as your iPhone ringtone? Or tired of the same old iPhone ringtone? For many people, ringtones are one of the easiest ways of personalizing your iPhone. A ringtone is also an expression of their inner self. However, Apple charges for iPhone ringtones, and iPhones and iOS still don't offer the functionality to set a simple song as a ringtone. But it doesn't mean we should have to pay for them. If you are tired of iPhone existing ringtones but refuse to pay for an iPhone ringtone from the iTunes Store, then follow our step-by-step guide which will show you how to make any music as your iPhone ringtone. Don’t want to waste money buying a ringtone from the iTunes store. Then you can import your favorite songs to iTunes and create a ringtone by using iTunes. The process can be a bit circuitous — it requires you to copy files and change extension names — but once you get the hang of it, it’s quick and easy. Please open iTunes and follow these steps. 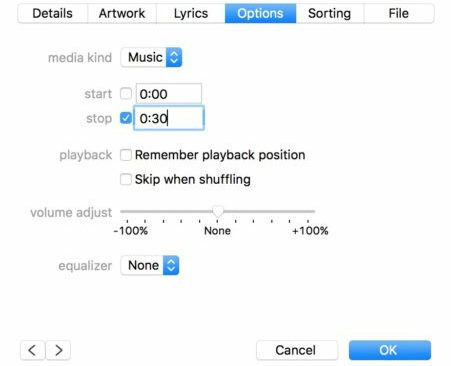 Step 1: Pick the song or audio file you want to use from your iTunes library, and then right click on the song and select “Get Info”. In the Get Info window, selection the Options tab and change the Stop and Start Time to read the segment of the song that you want to save as a ringtone. The ringtone length cannot exceed 30 seconds. Step 2: Select the song, and in the Menu Bar, go to File > Convert, and select “Create AAC version”. iTunes will take the segment you have just selected from the song in Step 1 and use it to create the new file. Step 3: Right click on the new song and select “Show in Finder” or “Show in Windows Explorer”. The new song will show up as an .m4a file. Click on it to select it, then rename the extension of the file from .m4a to .m4r. Make sure you just rename the extension, not the file. After that, go back to Finder (or Windows Explorer) and double click on the .m4r file you created. The ringtone will automatically move to your iTune’s Tone library. Step 5: Connect your iPhone to iTunes. Select the “Tones” tab from the iPhone section. Under the Tones section, select “Sync All Tones” and then click on the “Sync” button at the bottom of the iTunes screen. Step 6: Now, the ringtone is ready to go. On your iPhone, go to Settings > Sounds > Ringtone, and select your new clip. It seems that the method one to creat a free iPhone ringtone with iTunes is a bit difficult. If you want to make ringtones more easily and quickly, a great iPhone Ringtone Maker could be a useful tool to help you complete this task. 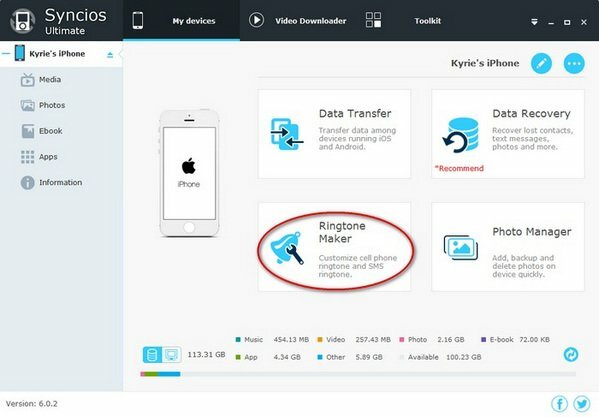 Syncios iPhone Ringtone Maker is what you need, with which you are able to turn any piece of audio into an iPhone ringtone. Don’t need to buy ringtones for iPhone from iTunes anymore, and can even make ringtones for your iPhone for free! Please download the Syncios Ringtone Maker ( Mac & Windows) first. 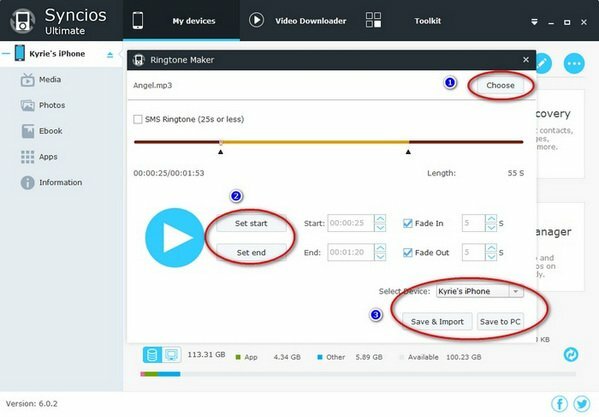 Then connect your iPhone to computer via USB cable, launch Syncios Ringtone Maker and select "Ringtone Maker". Directly drag the track from the folder to the program interface. Edit the fragment you want for ringtone. After edition, please select "Save & Import". Is it possible to set Apple Music songs as iPhone Ringtone? It seems impossible. Because all of Apple Music tracks are encoded with DRM protection. Any music you've added or downloaded from Apple Music catalog is not available to set as ringtone unless you remove DRM from these Apple Music songs first. 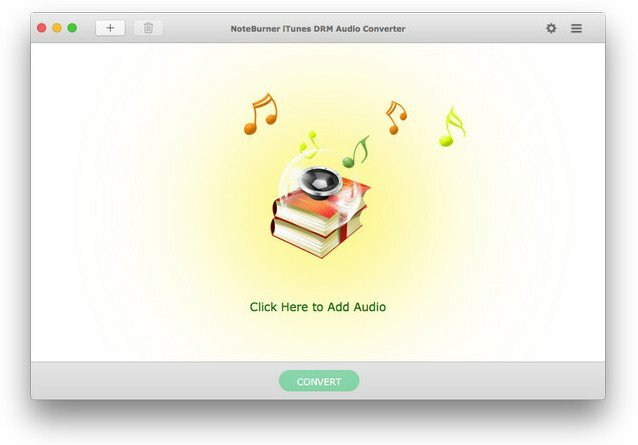 NoteBurner Apple Music Converter could be the best choice to help you rip DRM from Apple Music. And it is capable of converting any Apple Music files, iTunes audio file to MP3, FLAC, AAC or WAV format at 20x faster speeds with keeping lossless audio quality. After conversion, you can import the converted Apple Music track to iTunes or Syncios to set as your iPhone ringtone. Step 5: Last, import converted Apple Music songs to iTunes or Syncois and set them as your iPhone ringtone. Spotify is one of the most popular online music streaming service, which provides access to over 30 million songs. However, same with Apple Music, DRM of Spotify music is the biggest obstacle to prevent Spotify users from setting their favorite Spotify music as ringtone. To use Spotify music as iPhone ringtone, a professional Spotify music downloader is needed. 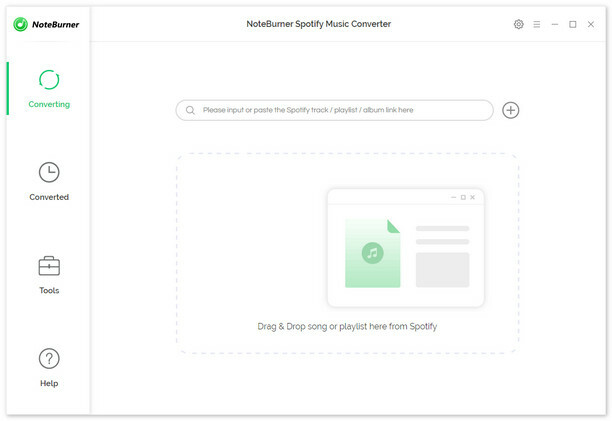 NoteBurner Spotify Music Converter is a pretty handy Spotify music downloader to help you download Spotify music to DRM-free format, whether you are Spotify paid or free user. Step 4. When finish customization, click "Convert" button to start conversion. After conversion done, you can find the converted audios by clicking button. Step 5: Import converted Spotify songs to iTunes or Syncois and set them as your iPhone ringtone. Now get out there and start making some sweet ringtones!